Bruxism is a common condition that causes people to clench and grind their teeth. This can cause substantial damage to the teeth and to jaw joints which in turn can cause a condition called TMJ or temporomandibular joint disorder. Symptoms include jaw or tooth pain and TMJ and bruxism can cause chronic headaches. 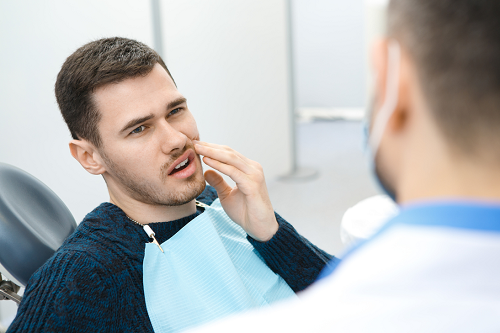 How Is TMJ & Bruxism Treated? If you think you may have TMJ or bruxism, please make an appointment to come and see us as soon as you can. Bruxism tends to be a nocturnal habit and Dr Peter Poulos can often treat this condition by supplying a custom-made night guard. This is made from a hard thermoplastic material and prevents clenching and grinding, helping the jaw muscles to relax during sleep.